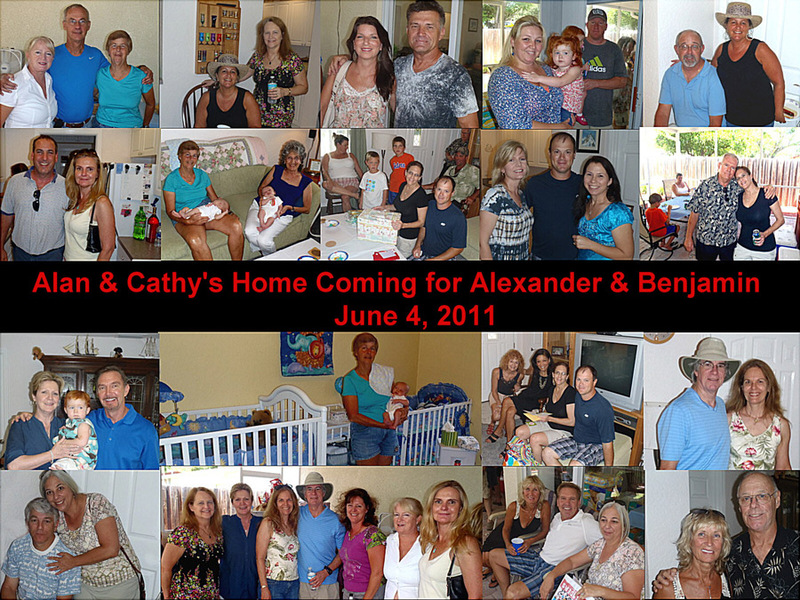 Alex and Ben thoroughly enjoyed their welcome home party with all of their new friends. They are excited and thankful to have received all of the diapers, wipes clothes and new toys... you all were so good to them. It was an exciting day and they especially loved being snuggled by everyone. Alex and Ben say thank you to all of you for coming. Thanks to Cindy and Dawn for helping with everything. There were lots of food and drinks for all and Alan grilled hamburgers and hot dogs. A fun day for everyone.